Brew Haus Malta: Why does Beer come in different Alcoholic strengths? There is no other alcoholic beverage versatile as beer. In fact, I am hardly discouraged when people come up to me to tell me that they dislike beer. I interpret this as someone confessing that they have not yet found a beer style that they like… Challenge Accepted! To be fair, Malta has only recently been exposed to the many wonderful beer styles available around the world. I am a firm believer that beer can cater to anyone’s tastes, needs, and social situation, mainly because there are so many different styles to choose from when it comes to taste, strength, style, and more, that there’s bound to be a suitable drink for everyone; from those who prefer their beers strong, to others who prefer to sip on something a little toned down. But how do those people determine which beer is right for them? For some, how strong the beer is will be the determining factor of what they will and won’t drink. For others, it’s just good to know. What Is The Alcohol Content of Beer? The alcohol content of beer is calculated in abv, or alcohol by volume. The percentage of alcohol by volume represents the amount of ethanol present within 100 milliliters of the beer. Most beers contain between 5% to 14% alcohol by volume, give or take. The actual alcohol comes from the fermentation process, where cereal grains like barley and wheat, or any other source of starch, are steeped in water, and a brewer’s yeast is added to trigger the fermentation process. The fermentation process converts the carbohydrates into ethanol – or in other words, it turns the sugar into alcohol. How much alcohol depends on what type of beer it is. Some beers are loaded with cereals and are allowed to ferment for longer, allowing the alcoholic content to rise, whilst others are cut short to have a lower alcoholic level. It is for this reason that higher abv beers are normally more expensive to brew. Lager is a beer type that originated in the Czech Republic and Germany and relies on low temperatures during the fermentation process. The mixture that makes up the beer is therefore not heated during the brewing process, meaning there is less work and the price of lagers is normally cheaper than other ales. Pale lager, the light, golden coloured beer, is one of the most sold types of beer in the entire world, with its styles ranging from Pilsner, to Bock, to Märzen. 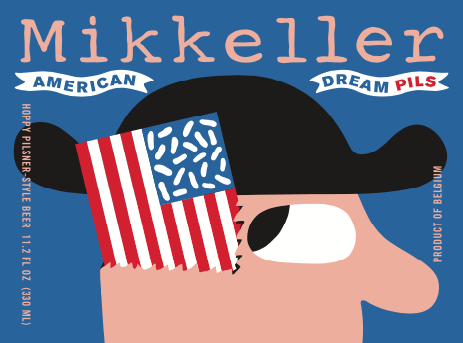 American Dream by Mikkeller is an excellent example of a crisp, hoppy pilsner. Lagers normally have between 4% to 5% alcohol by volume, whilst Pilsners normally have between 3% to 6% alcohol by volume. Stout are strong, dark beers made with roasted barley or malt and hops. There are imperial stouts (Imperial Biscotti Break, Even More Jesus), oatmeal stouts (Beer Geek Breakfast), dry stouts (Stouterik), and porters, which were at some point considered an alternative name for stouts. 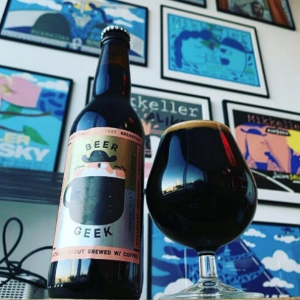 Stouts normally range between 4% to 8% alcohol by volume, Porters 4% to 5% alcohol by volume, whilst Imperial Stouts range between 8-13% alcohol by volume. Brown ale looks exactly how it sounds – a brown or amber-coloured beer. It was mostly brewed in America, England, and Belgium but now a number of craft breweries around the world experiment with all sorts of styles. They are sometimes chocolatey, nutty, or just sweeter in general that most beers, and usually have a low alcohol content, though not always. 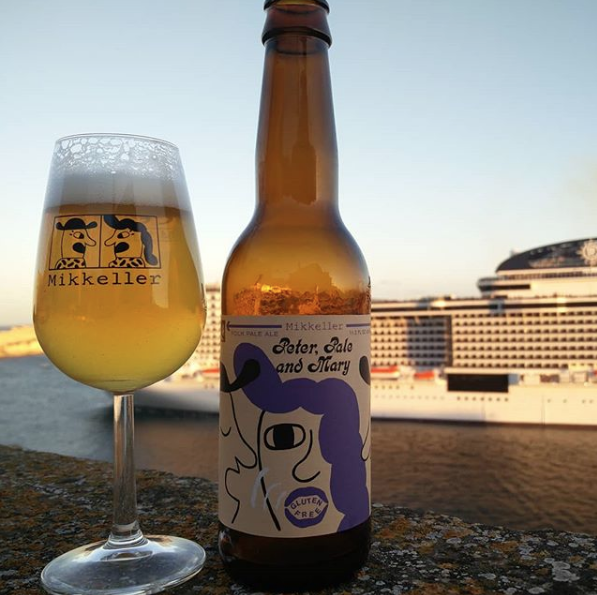 Some examples of brown ale are the Cream Ale by Mikkeller (coming soon). Brown Ale normally contain between 4% to 6% alcohol by volume. Pale ales derive their names from their usually pale colour, due to the pale malts that are used during the fermentation. Pale ales often have a fruity flavor and the India Pale Ale (IPA) is a popular sub-type, a much hoppier version of regular pale ale. Stone makes many a popular kind of IPA. IPA is generally very bitter, sometimes with bursts of citrus and peaches and other fruits. Pale Ales normally have between 4 and 6% alcohol by volume whilst India Pale Ale (IPAs) are more alcoholic at around 6% to 7% alcohol by volume. 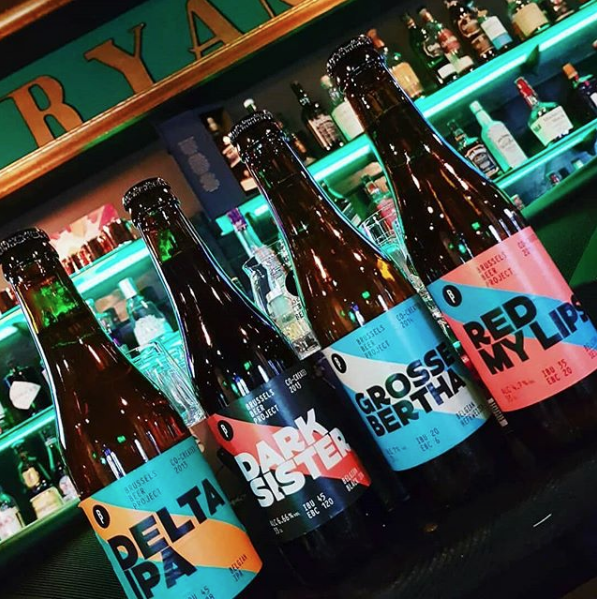 There are now IPAs referred to as Session IPAs which still pack a lot of hop flavour but are lighter in alcohol, closer to a pale ale in terms of alcohol by volume. Cheers!